Web CAD SDK is an ASP.NET control for quick visualization of different drawing formats on the Internet, Intranet, SharePoint, Office 365 and other online HTML5 enabled technologies. 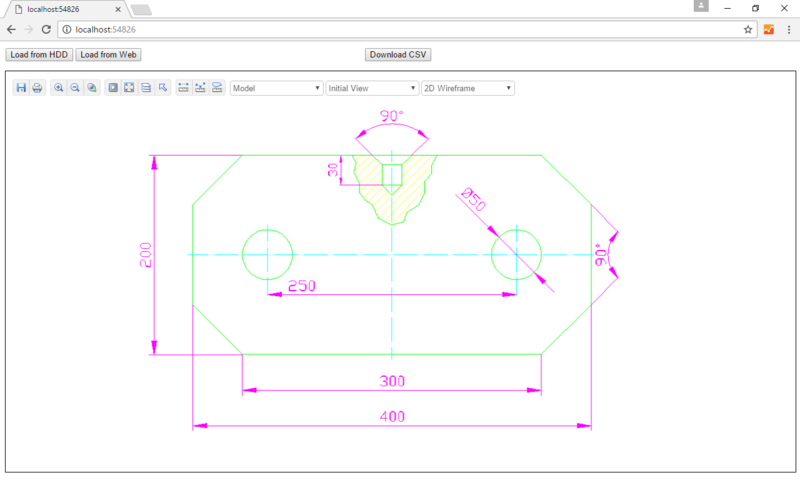 It supports CAD AutoCAD DWG, DXF, HPGL, PLT, etc), vector (PDF, SVG, CGM, WMF, etc. ), raster (PNG, BMP, JPG, GIF, TIFF, etc. ), 3D formats (STP, IGS, STL, SAT, etc.) and also archives (7z, RAR, ZIP, etc.). With the help of this program a developer can view and print drawings, manage layers, add programmatically entities and get information about them. The high quality, royalty-free licenses and prompt free customer support that can always help understand ins and outs of the library and solve any problem make Web CAD SDK an excellent variant for implementation. Also, it is important to note that it does not require AutoCAD or other third-party applications installation. SDK is delivered with illustrative demo applications thanks to which the starting will not cause any difficulties. Web CAD SDK is used in different areas of activity including work with database systems, document management systems, monitoring and remote control programs. With the help of this library the work with drawings will be easier and effective. web, cad, sdk, dwg, dxf, pdf, svg, plt, step, iges, stl, sat, viewer, add, net, sharepoint, office 365, mvc, html5, internet, explorer, chrome, firefox, opera, AutoCAD, C# ASP.NET control for viewing drawings in browsers, SharePoint, Office, etc. It supports CAD (AutoCAD DWG, DXF), 3D (STP, IGS, STL), vector (PDF, SVG, CGM), raster (PNG, BMP, JPEG) files and archives. It does not require AutoCAD installation.